Welcome to AP Microeconomics! This class is the study of how the economy functions from the perspective of how businesses and consumers make decisions. We will consider topics such as the basics of supply and demand in a free market, how businesses operate when faced with different forms of marketplace competition, how companies make decisions about how much labor to hire, the benefits of international trade, and the proper role of government in the economy. If you are interested in business or government, or just want a good foundation in economic principles, this will be a great course for you. Full-year section: $525 until July 1st, then $550. Principles of Economics, by Libby Rittenberg and Timothy Tregarthen. Available for free at https://saylordotorg.github.io/text_principles-of-economics-v2.0/ and as a PDF download here. MyEconLab from Pearson (www.myeconlab.com). About $35. Don't buy anything until I send you specific registration instructions. This is the only item you have to buy. All other materials (videos, games, extra readings, etc) are available by free download. The full-year course is intended for students who have not taken AP Economics before. 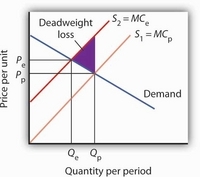 It covers basic economic concepts before moving on to the material specific to AP Microeconomics. It moves at a slower pace, but also includes more enhancements related to free-market principles and other supplementary activities. The full-year section will run from August 30th to the middle of May. The semester course is only for students who have already taken AP Macroeconomics. Students may take AP Macro with Howard Richman in the fall semester and then AP Micro in the spring semester, or students who have taken AP Macro in a previous year may enroll in this option. The textbook is the same book that Dr. Richman uses. The semester course will move faster and assumes knowledge of basic economic principles. This option will run from the end of January through the middle of May. Who should apply: Homeschooled students in grades 9-12 for the 2019-2020 school year are welcome. Economics emphasizes analytical reasoning, so those who are strong in math will probably grasp the material more quickly. Students should expect to spend 60-90 minutes per day on this course in the full-year version and 90-120 in the semester version. There are no prerequisites. Younger students who are good in math may find the full-year course a good starter course in the AP program. Course description: The primary goal for this course is preparation for the AP exam in Microeconomics. We will pursue a rigorous course of study using college-level materials. The main textbook will be supplemented with outside readings, videos from Hillsdale College and the Khan Academy, and interactive activities. An important part of the class will be assignments drawn from previous AP exams. Students will be expected to look for “economics in the news” articles and participate regularly on the discussion board. There are also a few games involved, including a business simulation game, a stock market game, and an oligopoly simulation (see class showcase). Along the way, the course will emphasize understanding of and appreciation for the principles of a free-market economy. My perspective and training is one that emphasizes limited government intervention, and I teach this perspective in our discussions, additional readings, and videos such as those from Hillsdale College. At the same time, we will explore the concepts of market failure and public goods and what is the proper role of government. Interaction: This course is designed to be highly interactive both among students and between student and instructor. Note that there is *not* a specific time when the class meets in a live setting. Students are expected to check the website daily and participate regularly, but not at any particular time of day. Other than certain optional activities, everything is available around the clock to accommodate different schedules and even students living around the world. We will, however, organize an (optional) weekly live chat session for review and interaction. Typically I will be available for online "office hours" most weekday mornings for getting questions answered quickly or reviewing material. Previous results: Since I started offering this course in 2014-2015, students have done remarkably well on the AP exam. The large majority have scored 5s with average scores of 4.4 and 4.7 in the last two years. In 2016, one student correctly answered every single question on the test (and got a special commendation letter from the College Board for this rare achievement!) and only one student in the full year class got less than a 5. Technical requirements: High speed internet access, Microsoft Word or Open Office, scanner or digital camera for posting hand-drawn graphs. Instructor Qualifications: This will be my ninth year teaching economics to high school students and the fifth I have taught AP Microeconomics. I love economics and the related fields of politics, history, and culture. I have also been a classroom teacher, served as Administrator and AP Coordinator for Puebla Christian School in Puebla, Mexico, and wrote AP curriculum for a major online publisher. I am a PHAA graduate, my bachelor’s degree is in Government from Patrick Henry College, and my master's degree is in Business Administration from Regent University. My wife Florina and I have two beautiful daughters, Azrielle (5) and Avianna (2).